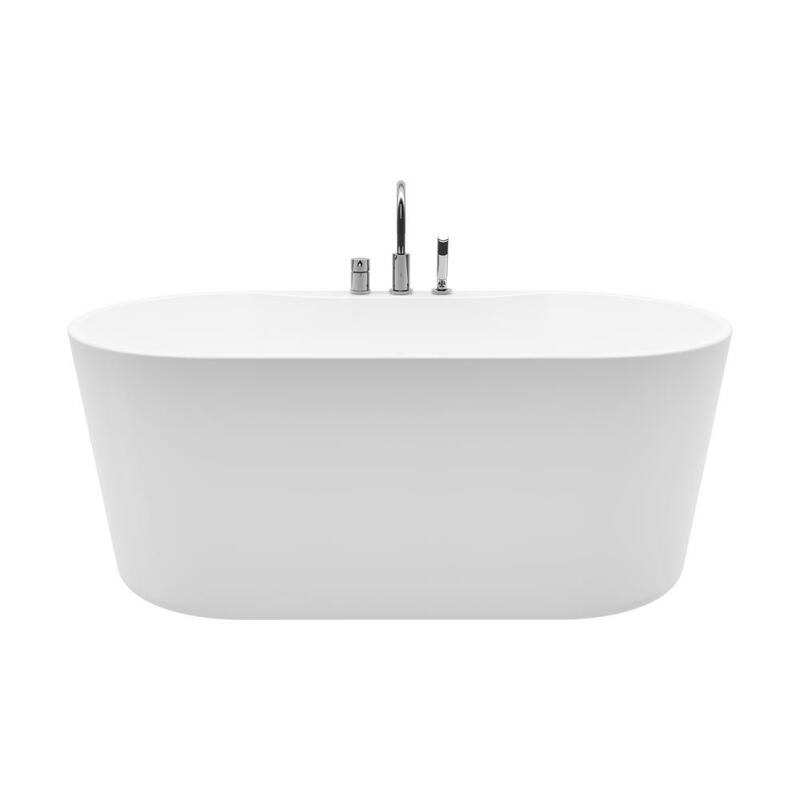 The design of this freestanding bathtub is both modern and sleek. 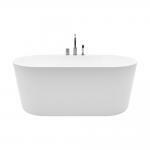 This cUPC certified tub fits in a standard alcove bathtub opening, so it is ready for your home renovation. Symmetrical backrests and a deck-mounted faucet with handheld shower add a sophisticated element to this tub.